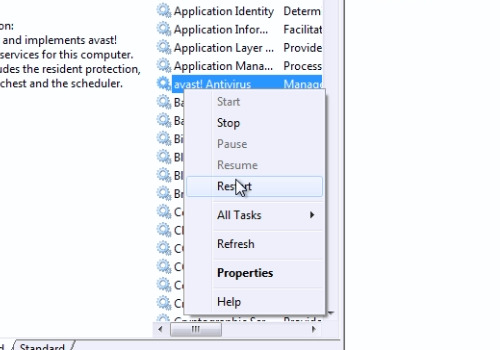 In this video tutorial we will show you how to restart avast antivirus. In order to restart avast antivirus, go to “Start” menu and in command line type “Component services”. 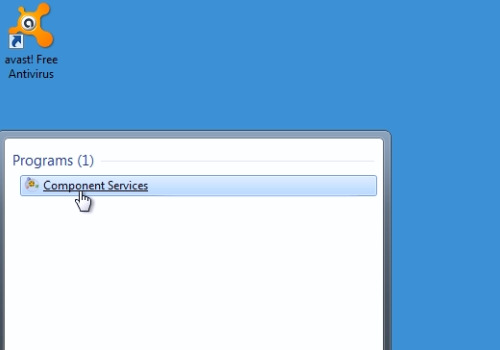 In the following window, click “Services (Local)”. In appeared list, right-click on “avast! Antivirus” and in the popup menu choose “Restart”.